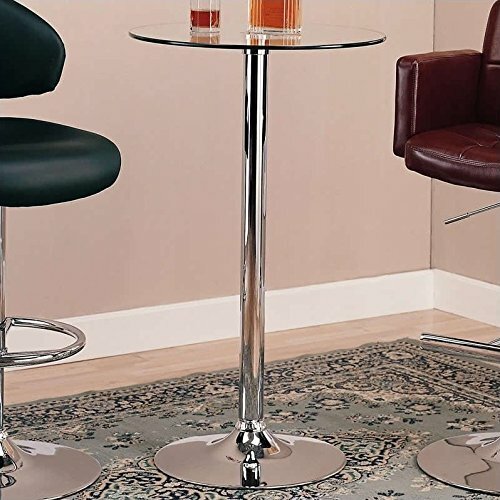 Make a big impact on the design of your room with this bar table. While it is compact in scale, it offers a big presence. The smooth, round top rests above a sturdy, chrome metal base. The perfect size for holding a cocktail while having a conversation with friends.